David and Amber feel they've been blessed to work with the St Elmo congregation since 2013. David has been preaching for more than 9 years in Tennessee and South Carolina. He is a graduate of Freed-Hardeman University and Liberty University. They met at Freed-Hardeman and have three wonderful kids: Kherington is 6, Lukas is 4, and Linkoln is 1. 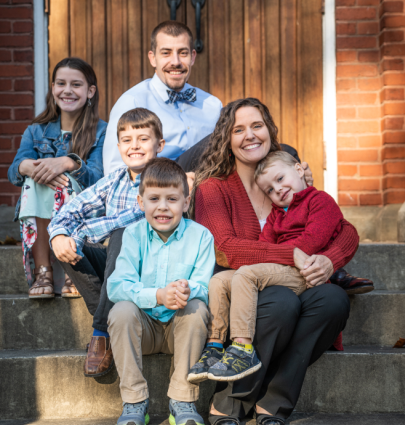 Amber teaches business classes for the Potter’s School and helps in planning and executing many activities at St Elmo church, and David strives to bring biblically balanced and meaningful lessons each week as well as minister to the needs of the congregation and others. We would love for you to meet the Pharr family and everyone else at the St Elmo church of Christ.